alaTest has collected and analyzed 1845 reviews of VAX U89-MA-T. The average rating for this product is 4.6/5, compared to an average rating of 4.6/5 for other products in the same category for all reviews. Reviewers really like the design and size. The price and usability are also mentioned favorably, whereas reviews are divided on the reliability. We analyzed user and expert ratings, product age and more factors. Compared to other products in the same category the VAX U89-MA-T is awarded an overall alaScore™ of 89/100 = Very good quality. QUick and easy to assemble, and copes tremendously well with 2 hairy dogs and new carpet. Light to use and glides easily from carpet to hard floors. Love it. On my first use, I discovered that my new Vax had removed deep down grit that my previous Vax had missed! 6 year guarantee. Useful range of tools, particularly the turbo brush . Good value With 60 pound reduction. Really powerful and cleans thoroughly. 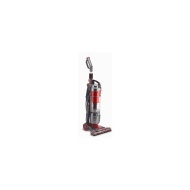 Vax U89-MA-Te Air Total Home Bagless Upright Vacuum Cleaner. Easy to use , powerful suction, good for stair carpets, easy to switch from carpets to hard flooring settings with equally good results.